Enzyme-mediated biotransformation of pharmacological agents is a crucial step in xenobiotic detoxification and drug disposition. Herein, we investigated the metabolism and physicochemical properties of the top 200 most prescribed drugs (established) as well as drugs approved by the US Food and Drug Administration (FDA) between 2005 and 2016 (newly approved). Our objective was to capture the changing trends in the routes of administration, physicochemical properties, and prodrug medications, as well as the contributions of drug-metabolizing enzymes and transporters to drug clearance. The University of Washington Drug Interaction Database (DIDB®) as well as other online resources (e.g., CenterWatch.com, Drugs.com, DrugBank.ca, and PubChem.ncbi.nlm.nih.gov) was used to collect and stratify the dataset required for exploring the above-mentioned trends. Analyses revealed that ~ 90% of all drugs in the established and newly approved drug lists were administered systemically (oral or intravenous). Meanwhile, the portion of biologics (molecular weight > 1 kDa) was 15 times greater in the newly approved list than established drugs. Additionally, there was a 4.5-fold increase in the number of compounds with a high calculated partition coefficient (cLogP > 3) and a high total polar surface area (> 75 Å2) in the newly approved drug vs. the established category. Further, prodrugs in established or newly approved lists were found to be converted to active compounds via hydrolysis, demethylases, and kinases. The contribution of cytochrome P450 (CYP) 3A4, as the major biotransformation pathway, has increased from 40% in the established drug list to 64% in the newly approved drug list. Moreover, the role of CYP1A2, CYP2C19, and CYP2D6 were decreased as major metabolizing enzymes among the newly approved medications. Among non-CYP major metabolizers, the contribution of alcohol dehydrogenases/aldehyde dehydrogenases (ADH/ALDH) and sulfotransferases decreased in the newly approved drugs compared with the established list. Furthermore, the highest contribution among uptake and efflux transporters was found for Organic Anion Transporting Polypeptide 1B1 (OATP1B1) and P-glycoprotein (P-gp), respectively. The higher portion of biologics in the newly approved drugs compared with the established list confirmed the growing demands for protein- and antibody-based therapies. Moreover, the larger number of hydrophilic drugs found in the newly approved list suggests that the probability of toxicity is likely to decrease. With regard to CYP-mediated major metabolism, CYP3A5 showed an increased involvement owing to the identification of unique probe substrates to differentiate CYP3As. Furthermore, the contribution of OATP1B1 and P-gp did not show a significant shift in the newly approved drugs as compared to the established list because of their broad substrate specificity. Anitha Saravanakumar and Armin Sadighi contributed equally to this work. The online version of this article ( https://doi.org/10.1007/s40262-019-00750-8) contains supplementary material, which is available to authorized users. The authors thank Mr. Timothy Lee, PharmD student for assistance in retrieving information for this study. The authors thank the University of Washington Drug Interaction Database, specifically Dr. Isabelle Ragueneau-Majlessi for providing feedback of the criteria for defining metabolism pathways. The authors also sincerely thank Dr. Kristina Ward for her contribution to the data extraction from the CenterWatch database. Support from Grant No. R15 GM101599 from the National Institutes of Health is gratefully acknowledged. Anitha Saravanakumar, Armin Sadighi, Rachel Ryu, and Fatemeh Akhlaghi have no conflicts of interest that are directly relevant to the content of this article. Symphony Health Solutions. 2015. http://symphonyhealth.com/wp-content/uploads/2015/05/Top-200-Drugs-of-2014.pdf. Accessed 18 Dec 2017. CenterWatch. 2018. Available from: http://www.centerwatch.com/drug-information/fda-approved-drugs/year. Accessed Mar 2018. University of Washington Metabolism and Transport Drug Interaction Database. 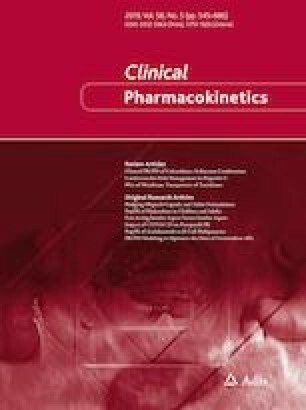 2019. https://sop.washington.edu/department-of-pharmaceutics/research/metabolism-and-transport-drug-interaction-database. Accessed Feb 2019. US Department of Health and Human Services, Food and Drug Administration, Center for Drug Evaluation and Research (CDER). 2017. Draft guidance for industry. In vitro metabolism and transporter mediated drug-drug interactions. https://www.fda.gov/downloads/Drugs/Guidances/UCM581965.pdf. Accessed Feb 2019. Drugs.com. 2015. Available from: https://www.drugs.com. Accessed 18 Dec 2017.